February 23, 2018 - In an effort to offer complete end-to-end design solutions for its customers, New Yorker Electronics is forming a relationship with Adam Tech Advanced Interconnect Products and Systems. Adam Tech is an established worldwide interconnect manufacturer, offering a wide range of world class connectors and cable assemblies. 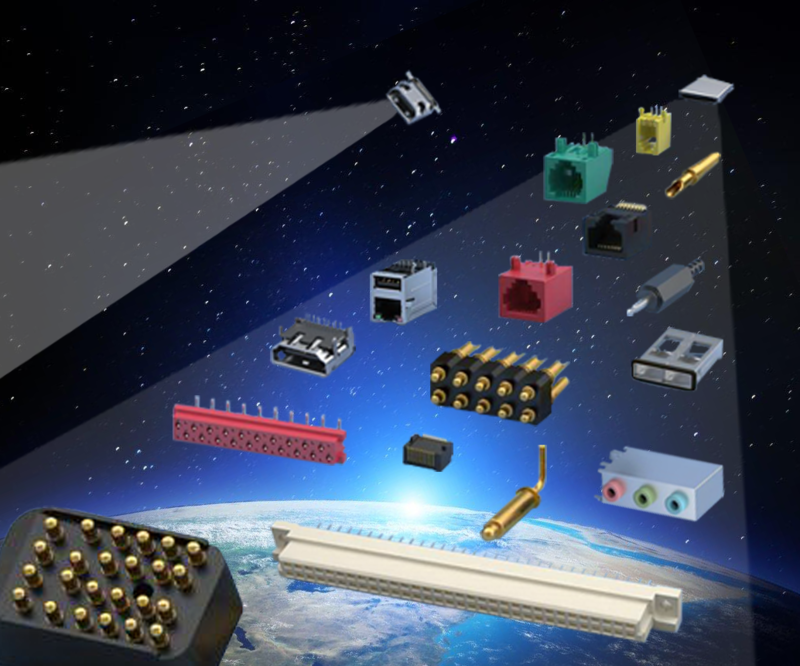 Now in its third decade, the company manufactures pogo pins and connectors, modular jacks, terminal blocks, RF connectors, receptacle strips, IP66 to IP68 waterproof connectors and more. Adam Tech parts are used in industrial automation, manufacturing and machinery, robotics, medical technology, harsh environment and rugged applications. A global electronic components distributor for 70 years, New Yorker Electronics also serves these markets. The similarity means existing customers of both companies will be open to a new range of products from the same provider, making this relationship very beneficial to end users. New Yorker Electronics is a franchise distributor of Adam Tech Advanced Interconnect Products and Systems and supplies its full line of Pogo Pin Connectors, Magnetic Cable Assemblies, Waterproof Connectors, Modular Jacks and Plugs, SFP and QSFP, USB Firewire, Terminal Blocks, Display Ports and more. All Adam Tech parts are now available through the New Yorker Electronics Web site for purchase or RFQ.